Dimensioni: Altezza cm.30, diametro paralume cm.16. 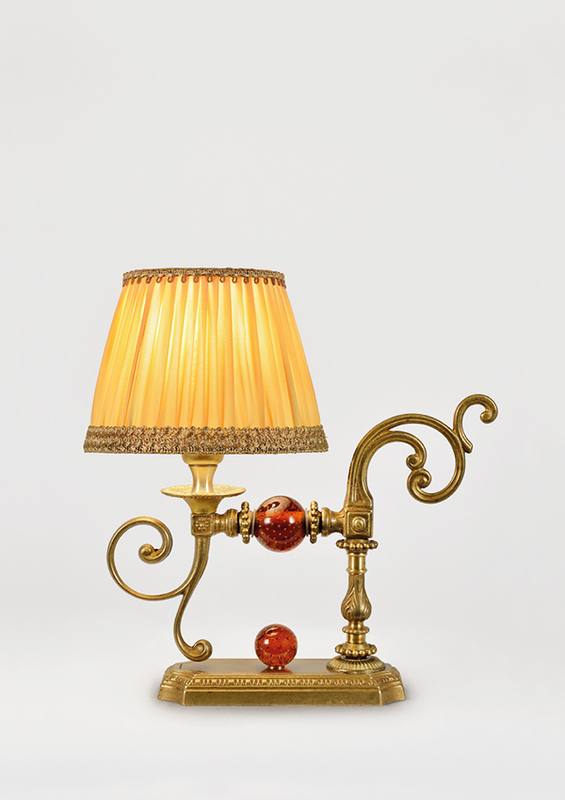 Item Description: Table lamp in brass and cristal with fabric shade. Dimensions: Height 30 cm, 16 cm diameter lampshade. Other finishes available: antique gold, gold, silver, old silver, polished nickel.